Try halving the distance the rudder moves to see if that improves it. If it makes it better, try the minimum movement you need to steer it. After that, work on the elevator the same. Your plane might be OK, but you might be over-controlling it. I have a v tail onboard mixer now and my tandem is busted, so I'm attempting this another time, taking the failures of my previous two versions into account. This is what I've got so far. She's 13.5"x28", v tail stabilizer(s) extended rear past the wing. Motor is now mounted as flush and straight inline as I could get it. 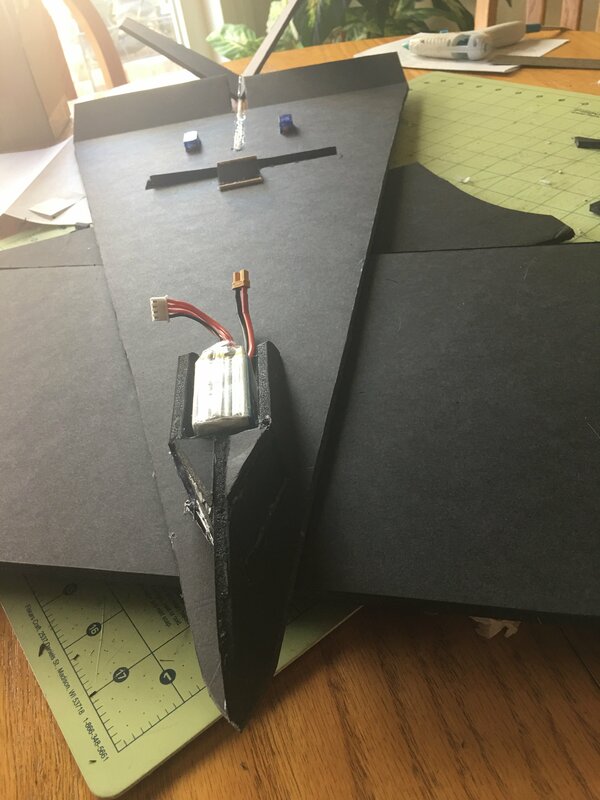 I'll be building the fuselage and linking servos on the underside of the wing, and leaving the top as featureless as possible for better air flow and stability. Don't give up on your dream!! Someday she'll see the light of day. You'll never gain more satisfaction than achieving a goal you yourself thought impossible. I hope you get to fly that mustang! Neil Armstrong requested in the early 60's to fly the hp-115, denied because he qualified to be an astronaut. In 1970 they finally let him. 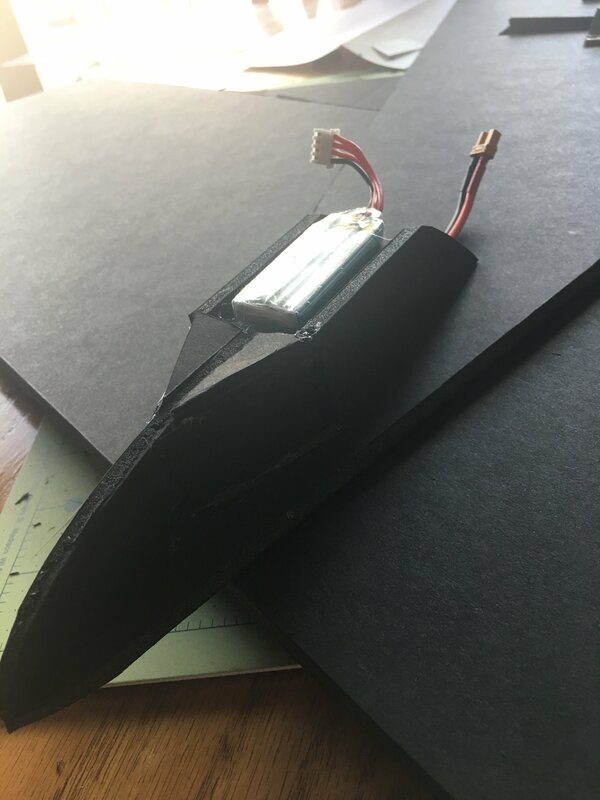 I have a basic and somewhat crude "cockpit" nacelle to house my battery on top, will through-wire my connector to the bottom, where the rest of the electronics will be. 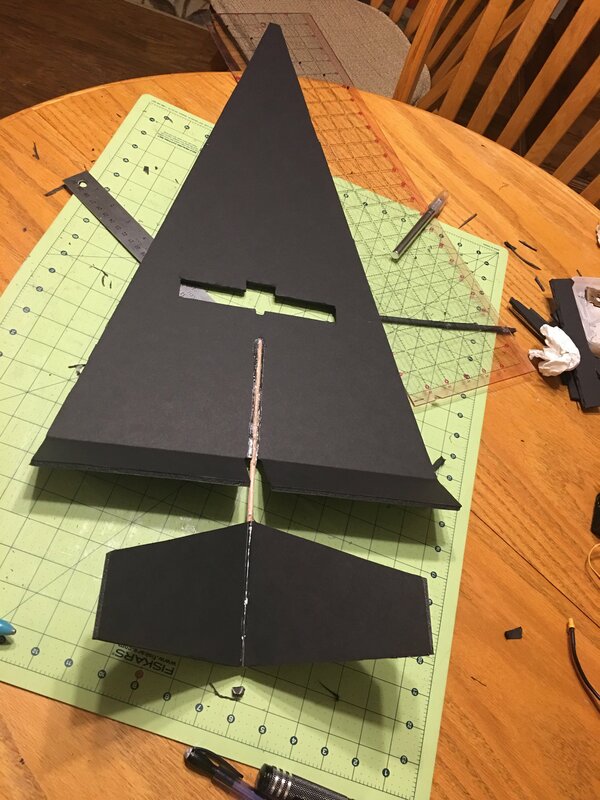 Experimenting and learning as I go, future iterations will likely have a cleaner fuselage that's planned out beforehand. I have a feeling the Vtail aft of the control surfaces will work against each other. I'd suggest a vertical stabilizer instead. Yeah I'm really not 100% sure how it will work either, but it would be an easy fix. I'm not sure whether I'll end up testing with the current tail or going with a more simple vertical stabilizer. 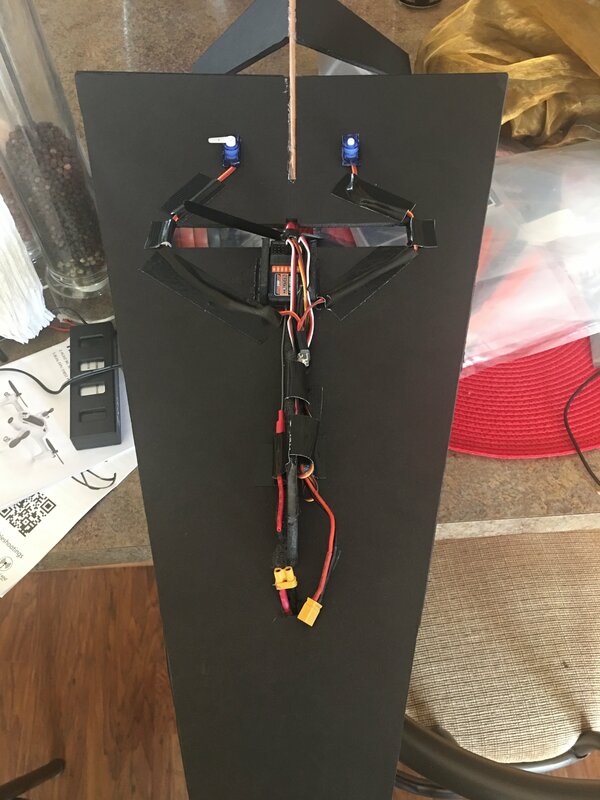 Other than that, it's all wired up, but the servos are not linked and I still have to figure out how to set up my transmitter with this onboard mixer to get a full range of control. It weighs in at 283 grams, well under my motors 430g thrust output. Here's pics. I'm bad at making fuselages and wiring stuff so it's a pretty crude looking rig on the bottom, but the top is pretty clean. What's your logic for the v tail messing things up? The elevons still get full clearance to move. Do you think it will create an airflow issue? I went over it in my head and I'm envisioning possible airflow instability too. 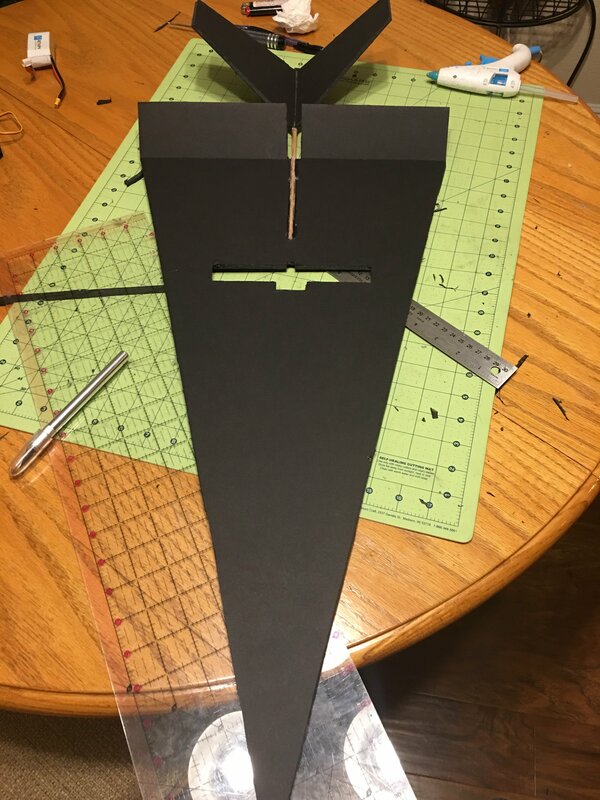 Better to keep it simple than gamble with something totally new, so I converted it to a regular vertical stabilizer. Cg was totally bunk too, so I dug out some old heavy nuts and bolts and added a bit of weight to the nose, inside the nacelle itself and in the battery compartment. Cg is looking better and still in a good weight range at 311g. I've got a design that is a delta as well (SR-71) and while I have plans for a profile model showing approx CG if there is a way to figure it out ahead of time I would like to know. I'm approximating based on a couple calculations people ran on this thread earlier for similar wing profiles. I'll try to use the tool somebody linked to fine tune it if I need to later, but I'm not very proficient with it. I could just tell right off the bat the cg was way too far back for this type of plane, it might not be perfect now but it's at the approximate sweet spot. Took my time today and just casually worked here and there. I'm not in much of a rush to take her to the "gallows pole"(maiden test💩) In fact, I'm having fun just zooming her around in my hand like an inane child, because I'm sure the fantasy is much more pleasing than the harsh, uncompromising reality will be. Anyway, gotta link the servos and get my mixer and transmitter sorted out tomorrow, then it's test time. Went better than expected. V tail mixer worked beautifully. I totaled my plane and didn't get full on proper flight, but I learned a ton. My plane flew straight and slow with a slight Dutch roll(a normal characteristic of the type) , but it was totally anemic, it could not keep itself in the air long and would stall during a climb. 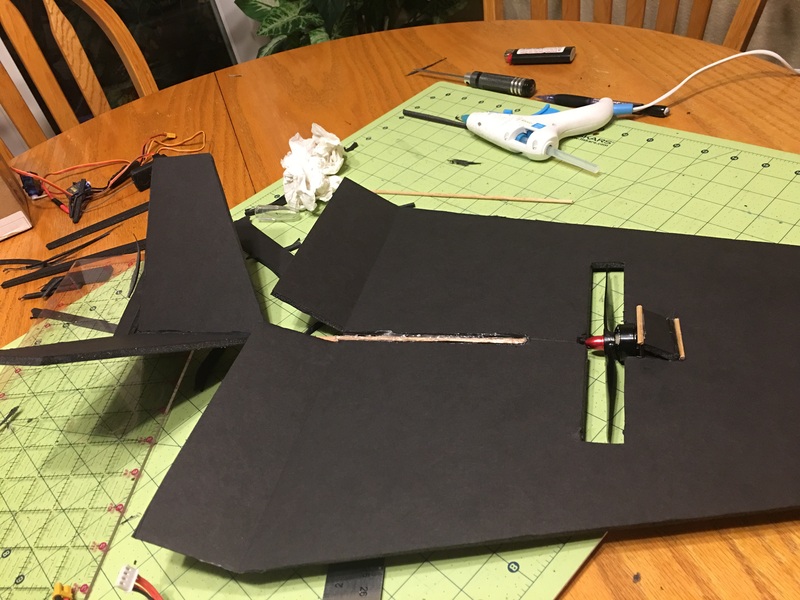 Since it flies at all I doubt it's wing loading as much as straight up thrust to weight-aka I gotta ditch the elmers foam board and I'll be flying soon. So, I'll be checking my local Walmart and Dollar Tree for proper foamboard, that should eliminate the largest problem. I'm apparently far from the only person who has made good planes that fly bad because of that elmers stuff. 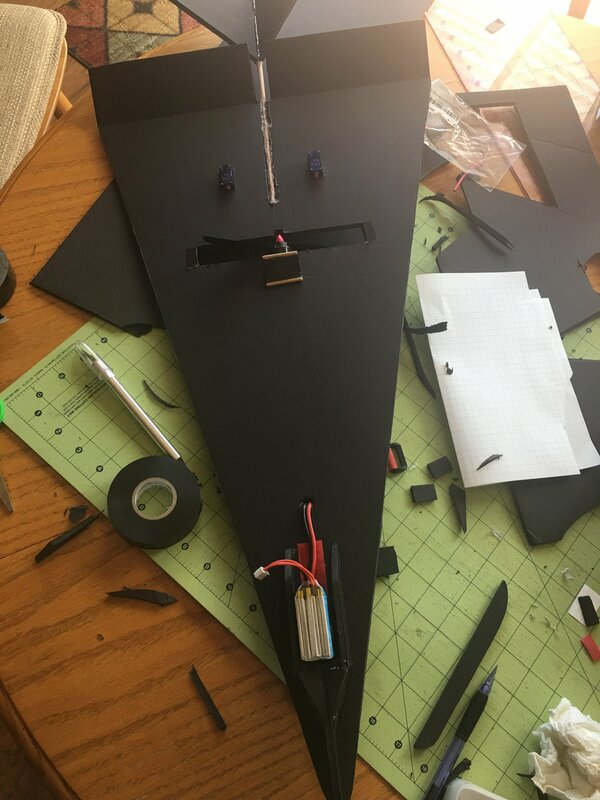 I'll be using the same dimensions and basic setup, but I will make a stronger nose without that one-ply piece in the front, and I've got a bit better arrangement thought out for the electronics along the bottom. 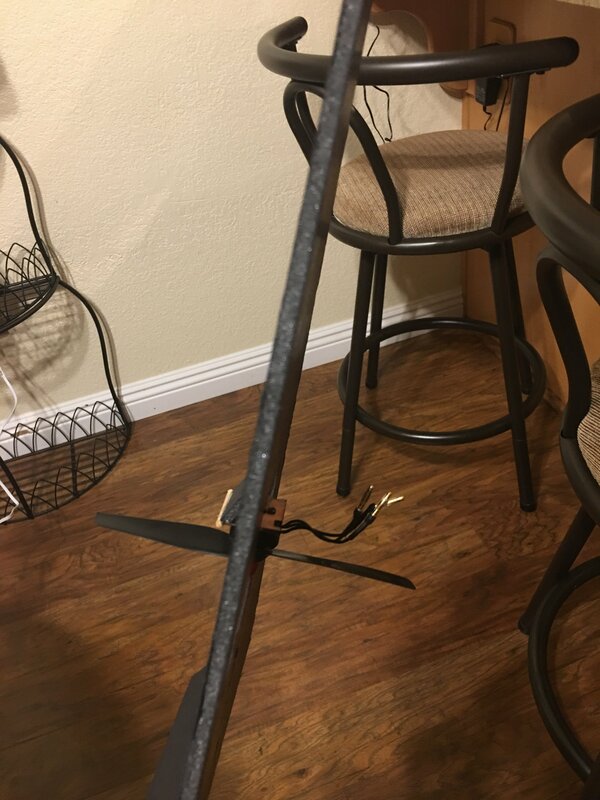 I could probably get away with these home brew control setups of zip ties and overly thick push rods again, but I think I'll go for broke and get some nice ones with the little clasps and linkage stoppers and all that jazz. I could perhaps buy an F pack to use with this for a little more juice than my A pack, but it doesn't need to be fast as long as it flies. 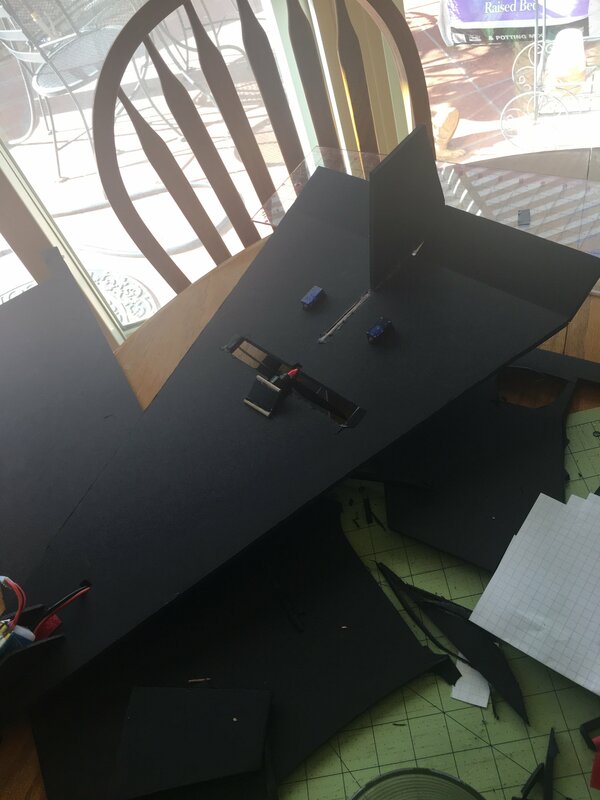 Do you guys think the A pack will be enough thrust if I use the lighter foamboard? Got it, thanks for the heads up. I figured it would be adequate as long as everything else about the build was solid.